Safety Razor Shaving Made Easy - Beluga Shave Co.Beluga Shave Co.
Join the SINGLE EDGE Movement! We’ve all been misled by Multi-Blade companies for the past 25 years. More blades = More friction, More Irritation, and ultimately More Cost for you. Professional Barbers use a single edge razor to deliver the closest and most comfortable shave, and you should too! For the first time ever, the Beluga Razor allows anyone to easily use a single edge razor to get the closest and most comfortable shave possible. Use the same razor blades that Professional Barbers use and achieve a payback period of less than 2.5 years. No expensive proprietary blades here. 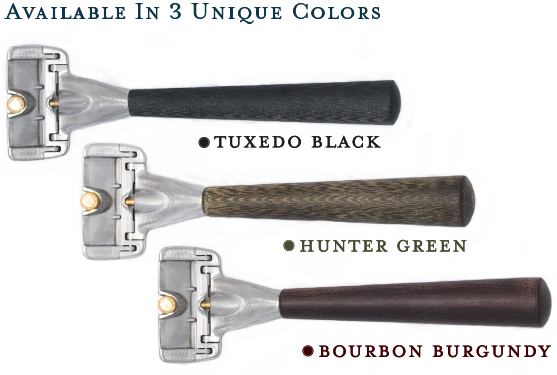 Customize your shave from 70+ different double edge blades available from manufacturers all over the world. They cost as little as 10¢ each and this means HUGE savings for you in the long-run compared with costly multi-bladed razors. No need to look for cheap razor blade refills ever again. 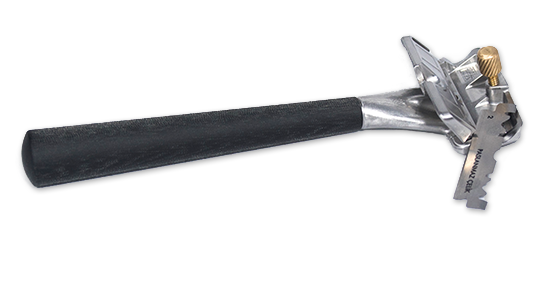 The Beluga Razor is precision formed from high strength Stainless Steel and built to last with zero waste. It uses recyclable blades that help divert BILLIONS of non-recyclable cartridge and disposable razor blades thrown out each year. We use Micarta because it is extremely durable and will actually create a better grip when wet. The feel of this handle is truly unique, and just like the razor, it must be used to truly appreciate. Overtime it darkens with age and each color batch of Micarta will vary overtime, making your razor truly one of a kind. 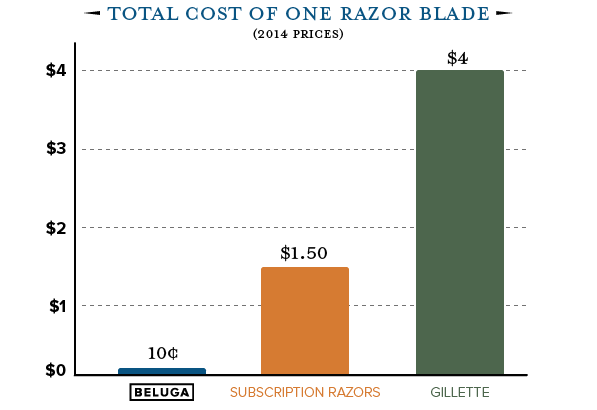 Beluga simply wants to provide you a better quality shaving experience that saves you money. With your support today, not only can you preorder your Beluga Razor, but you will also get our exclusive updates about how we are shaking up the shaving industry and leading the single edge movement. What blades will this accept? The Beluga Razor accepts any and all double edge razor blades. Each blade is manufactured to precise dimensions from manufacturers all over the world. Which will you choose? Where can I buy double edge razor blades? We recommend ordering your blades online for the best selection and price. 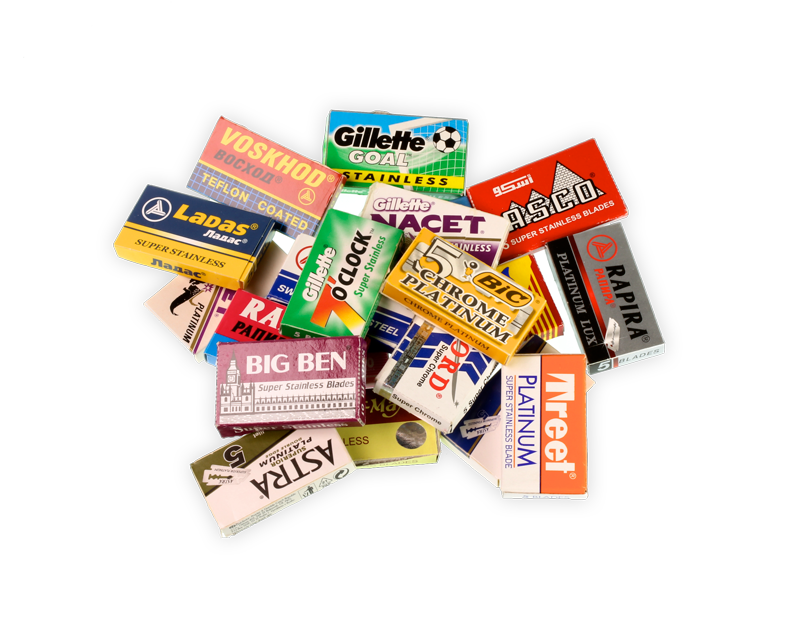 There are numerous online companies that sell blades including sample packs to try out individual blades before deciding on what you like for a bulk order. This is a great question if you are coming over from the electric or cartridge shaving circles. From the beginning we wanted to make dealing with these blades as easy as possible, so we added a magnet to make them easier to pick up. As to shaving, we have made it as easy as any multi-blade cartridge razor so no worries. How exactly does the head lock down the blade? We use a simple and robust thumbscrew to ensure the best longevity for your razor. The cost of the razor is currently at $125 for a limited time. As soon as we start shipping we plan on increasing the price to the full retail price of $150 so get yours now! The great thing about Double Edge blades are they are made completely of metal and thus can be recycled. However, they are sharp and need to be disposed of properly and not simply thrown in the trash where people sorters could potentially cut themselves. The first things to do is to store used DE blades into a solid container (metal is preferred since they can be recycled together). It usually takes years to fill up given how thin the blades are, and when the container becomes full, close it up with tape and label it “DANGER: SHARP MATERIALS”. Then if you have a sharp disposal facility nearby it is recommended to drop them off there, otherwise as long as it is properly sealed up and labeled you can drop it in your recycling bin. Why does the head of the razor look like that? The razor head is different in order to house the shape of the double edge razor blade it houses. We simply wanted to provide you access to dozens of different blades that are high quality, yet still extremely affordable. The potential to save a lot of money is what makes the Beluga Razor that much better. 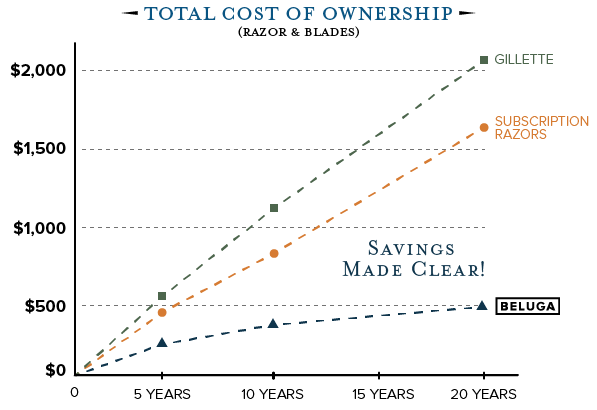 Replacement blade costs are so low compared with cartridge razors that in the long run (over 10 years) you can save thousands of dollars in blades alone. The Beluga Razor basically pays for itself in a few short years! To learn more about our return policy please see our terms page at http://www.belugashave.com/terms-and-conditions/. Basically we have a 60 day return policy and if you would like a return (which we doubt you will want) you will need to contact us for a RMA number before returning the razor at your own expense. Also, we require a 25% restocking fee as we are still a startup, but we hope to eliminate this as we grow. How does your 25 year limited warranty work? 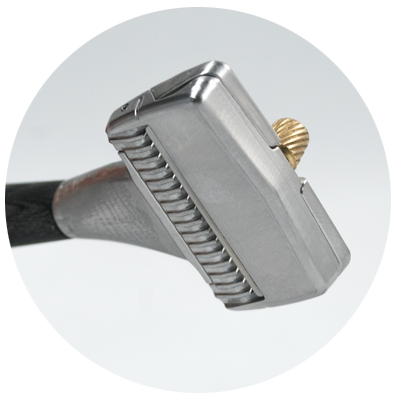 Our razor is made from only a couple components and each one is extremely robust. We wanted to demonstrate our assurance that your razor will last and if there were any manufacturing defects that arise we will take care of it. If you have an issue, you just need to request and be given a Return Mechandise Authorization (RMA) number to put on the return packaging, and have it shipped back to us. Yes, we ship globally and will use the USPS. Shipping beyond the Continential U.S. will be an additional amount. However, it is important to keep in mind that depending on your location you might have to pay Customs, Duties, or taxes, such as VAT, that are not included in the price of shipping. The only places we don’t ship are those locations currently embargoed by the United States or United Nations as sanctioned by the Office of Foreign Asset Control (OFAC). Want $25 for each referral sent our way? Only Available Until March 31st 2015!